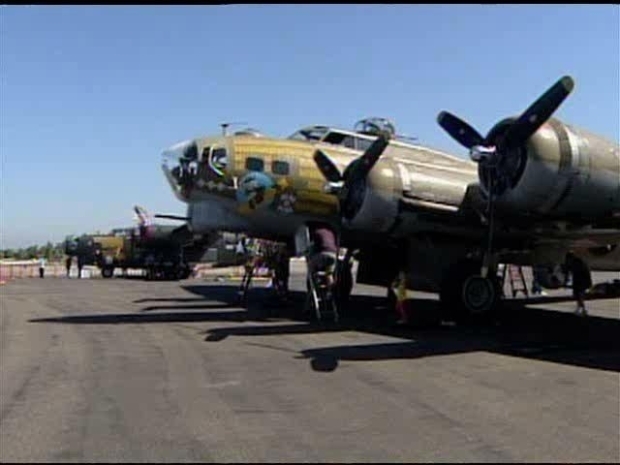 San Diegans still have a little time to see some vintage World War II planes that are on display during the national Wings of Freedom tour that made a stop in North County this week. The planes landed Monday at McClellan Palomar Aiport for a three-day stop. Aircraft fans can see a B-17 Flying Fortress, a P-51 Mustang fighter and a Consolidated B 24 Liberator that was built in San Diego. The government went to Consolidated in the early days of the war in 1941 to build the Liberator. 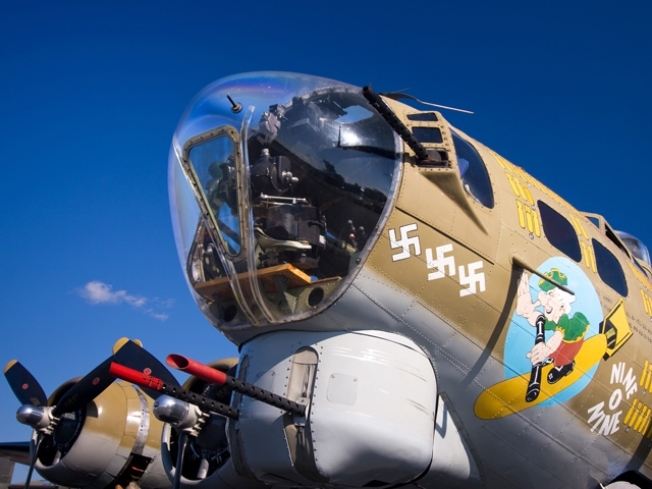 "They recognized that with the war in the Pacific, they needed a bomber that would fly higher, faster, farther, carry a bigger bomb load than the B-17," B-24 crew member Carl Silber said Tuesday. "So, based on those specificationsm, Consolidated here in San Diego went to work on the drawing board." At the height of the war, Consolidated employed 45,000 people to build the B-24, 24 hours a day, seven days a week. The company later became Convair, which was in turn bought by General Dynamics, which was was sold in 1994 when General Dynamics broke up. The aircraft will still be on display on Wednesday from 9 a.m. until noon.